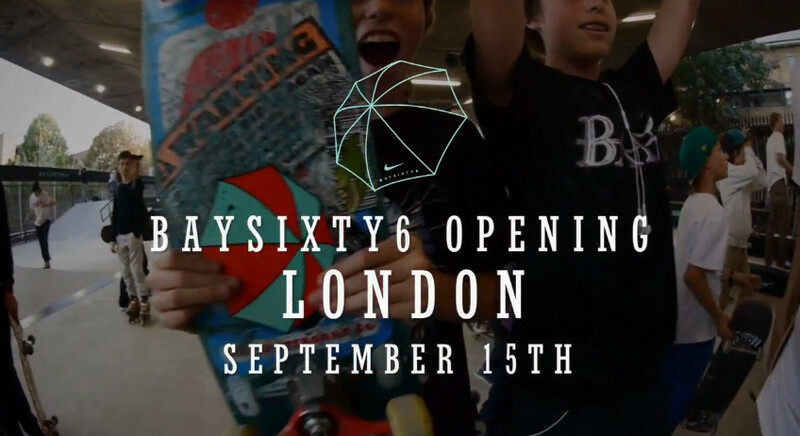 Nike celebrates the reopening of BaySixty6 with a special demo featuring several members of the Nike SB team. Nike recently celebrated the grand reopening of London's BaySixty6 skate park with a special demo featuring several members of the Nike Skateboarding team. Sean Malto, Justin Brock, Theotis Beasley, Wieger Van Wageningen, Fernando Bramsmark, Tim Zom, Korahn Gayle, Tom Harrison, Neil Smith, Chris Jones and Kyron Davis were all in attendance for the demo.